The Chord Blu Mk2 upsampling CD transport was partnered with the Dave DAC. 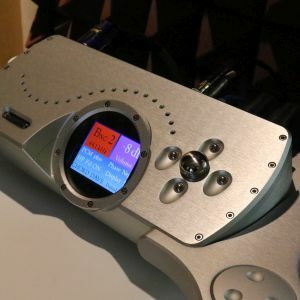 Chord Electronics showcased the Blu Mk2 upsampling CD transport and the Hugo 2 DAC/headphone amp/preamp at the Munich High End show. The Blu Mk2 had been launched earlier this year at the CES in the United States. 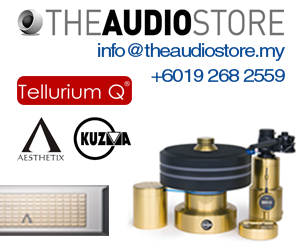 Managing director of Chord Electronics John Franks told me he will be in Malaysia to launch the Blu Mk2 and the Hugo 2 at the Kuala Lumpur International AV Show in July. 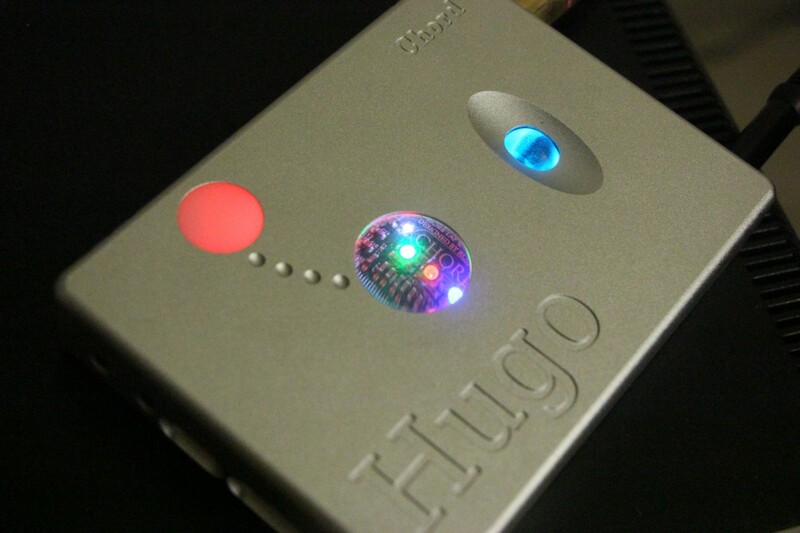 The Hugo 2 can already be auditioned at the Centre Circle showroom in Taman Tun Dr Ismail, Kuala Lumpur and, according to John, there should be a Blu Mk 2 in the showroom too. 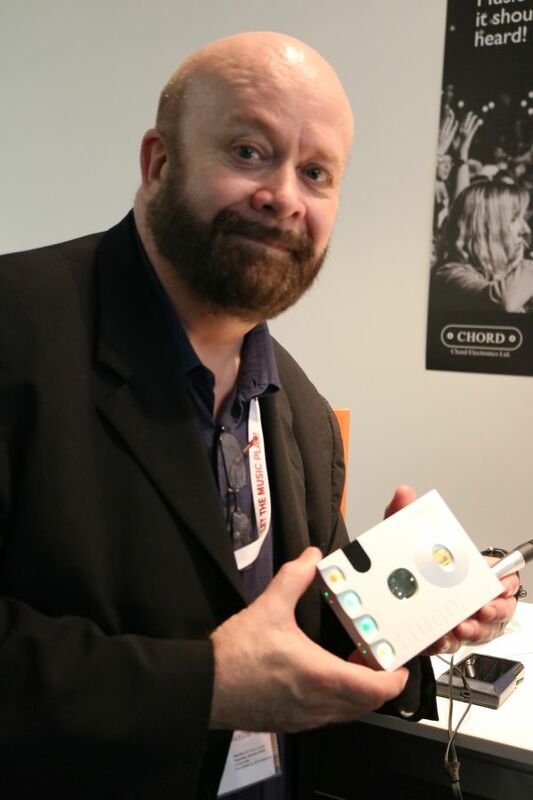 Chord Electronics managing director John Franks said he will be in Kuala Lumpur to launch the Hugo 2 (which he is holding) and the Blu Mk 2 in July. 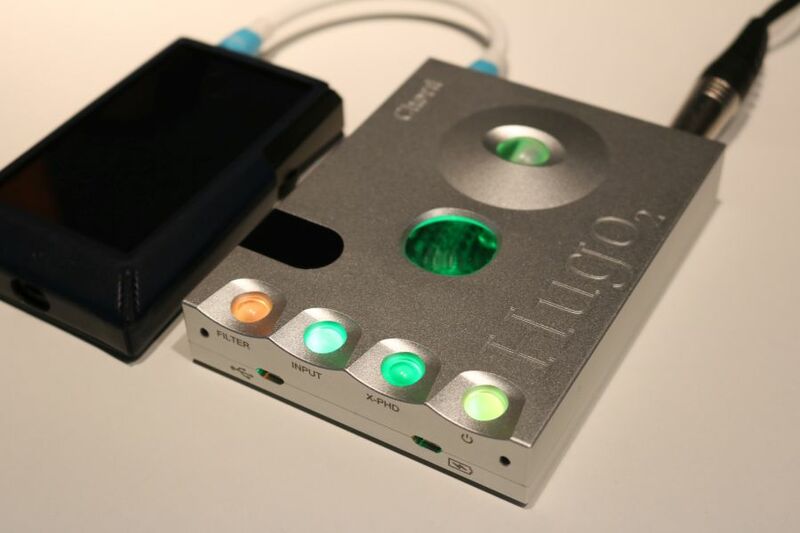 The Chord Hugo 2 was on demo at the Munich High End show partnered with Audeze headphones. From Chord Electronics’ website: “The Blu MkII is a compact, FPGA-based upsampling CD transport which offers the world’s most advanced filter technology. 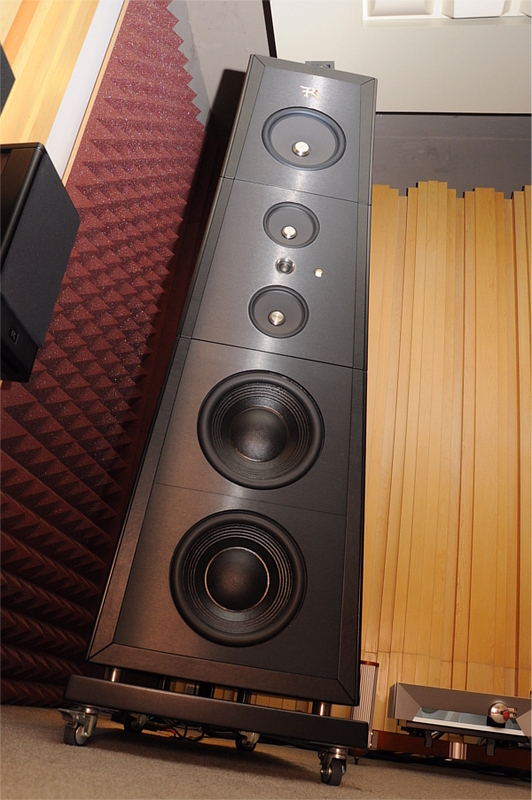 Used with DAVE, the combination delivers class-leading CD sound quality and technical performance. “Put simply, the Blu MkII upscaling CD transport sets new standards for CD sound quality by using the very latest FPGA technology to implement advanced proprietary filtering and upscaling techniques. Our next-generation CD transport incorporates a powerful new FPGA core with extraordinary capability. “Blu MkII’s sophisticated WTA (Watts Transient Alignment) filtering and upscaling algorithms can output digital data at 705.6kHz (16 x CD’s 44.1kHz native resolution). When partnered with the critically acclaimed DAVE DAC/preamp, with its 705.6kHz-capable digital inputs, the Blu MkII sets a new technical benchmark for CD performance, while redefining sound quality from the medium. “At the heart of the Blu MkII lies an enormously powerful Xilinx FPGA. 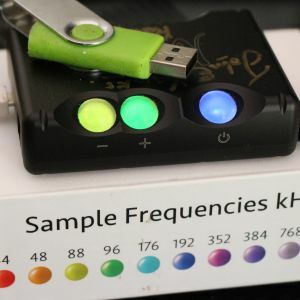 Rob Watts’ (Chord’s Digital Design Consultant) has used this to create his exclusive WTA M-Scaler technology, which incorporates the most advanced filter of its kind in the world. The Xilinx FPGA has also enabled a key breakthrough in tap-length (the technical indicator of how complex the interpolation filter is) taking Blu MkII to an unprecedented 1,015,808 taps. 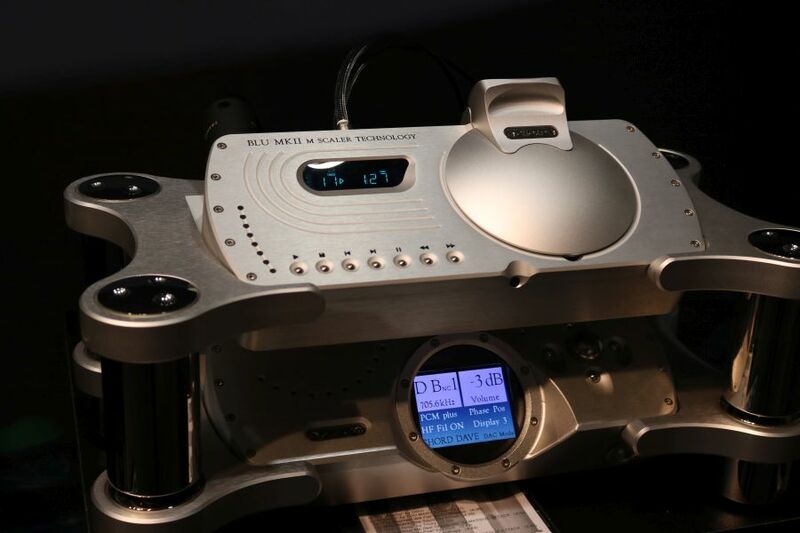 “A comprehensive suite of high-performance connectivity is offered and the Blu MkII also features a USB digital input, meaning that it can also be used a standalone high-performance upsampler, for use with other digital sources. 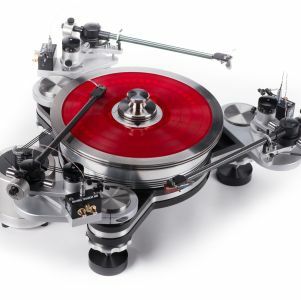 John said the Blu Mk2 is not cheap and should cost around 8,000 pounds.